Highest quality and top performance – this is what the Vitola 200 offers. With its biferral heat exchanger surface, the Vitola 200 sets a new standard, which has written heating history. The heat exchanger surface has a decisive advantage compared to conventional heating surfaces. Specifically designed for modulating boiler water temperatures without low limit. The biferral heat exchanger surface made of cast iron and steel provides for high operational reliability and a long service life. Low-emission combustion burner (oil- or gas-fired) and optimized combustion chamber geometry. Extremely economical and environmentally friendly through modulating boiler water temperature; the boiler switches off completely when no heat is required. Reliable heat transfer due to wide water jackets and large water content. Highly effective boiler insulation for negligible standby losses. Easy installation and start-up: all Viessmann burners are factory tested and adjusted to the rated output. 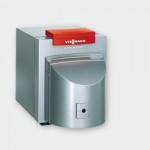 Read more about Viessmann Boiler Costs and Viessmann Boiler Savings. The G115WS has been redesigned and re-engineered to extract and deliver more heat from every fuel dollar, and now has higher outputs at less cost per BTU. The Buderus G115WS boiler is based on the highly successful G115, the World’s best selling boiler. The G115WS has been redesigned and reengineered to extract and deliver more heat from every fuel dollar, and now has higher outputs at less cost per BTU. Optimized combustion with positive pressure-fired boilers and tailored chamber geometry — no need for a heat-consuming refractory or target wall eliminating the need for costly repairs. Minimal stack losses with the modified three-pass flue design’s large heat transfer areas. Its construction consists of a full size burner swing door for easy access to the boiler interior and burner and a deluxe, heavy gauge blue enameled jacket for a clean finished appearance. 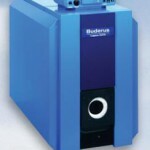 Buderus developed a full three-pass system which increases the efficiency of the boilers. With single-pass boilers, the flue products have only one chance to heat the water. Buderus three-pass boilers triple this opportunity. The unique way heat flows through the G215 boiler allows the water to be heated three separate times. The full 3” thick thermal insulation helps to maintain a higher water temperature even after the boiler has gone into standby mode. The distinctive chamber design of the Buderus G215 also allows for nearly silent operation.